BlurbJake McKallister might have been a rock star, but he was no ordinary one. Surviving an unspeakable crime as a young teen had shaped him into a guarded workaholic, and he now lived his life trying to forget. If it hadn’t been for music and the redemption he found through it, he might not have survived. Career success came easily for him. Personal connections did not.When outspoken, vivacious college student Casey Caldwell was paired with the famously reserved rockstar for a friend’s wedding, she was prepared for the worst. What could they possibly have in common? She was a bubbly talker; he was a reclusive loner. His life was filled with music; she couldn’t carry a tune. She’d enjoyed a happy childhood; his was a well-publicized nightmare.Yet despite their obvious differences, Jake and Casey found each other, and her light balanced out his darkness. Would their love be strong enough to survive the weight of his tragic past? CaseyWe laughed easily together. Every light moment we shared drew me in deeper. This was definitely the type of guy I could fall head over heals for. In fact, I suspected I was only one mortifying stumble away from complete humiliation. Jake I was losing her. Day by day I could feel her slipping through my fingers. Soon she would be gone, and I would have no one but myself to blame. If I couldn’t make it work with Casey, I would never be able to make it work with anyone. The realization that I was doomed to a life of loneliness hurt more than I ever thought it would. Now that I’d had a taste of what love was, I knew how much I would miss it. J Bengtsson lives in Southern California with her husband and three children. Her favorite things to do are laugh, go for walks, and hang out with family. 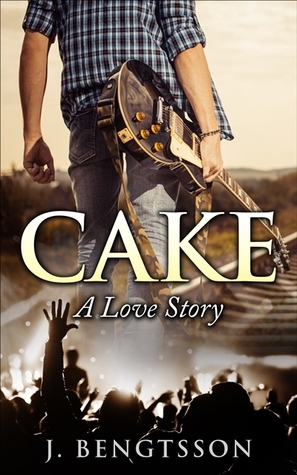 'Cake' is her debut novel.